We’ve formed some incredibly meaningful partnerships with successful Tbaytel for Good Community Fund applicants in the past, and we’re excited to share what their good projects are all about. Everyone Curls is an initiative that focuses on building participation in the sport of curling at the Kenora Curling Club and the community. Through the purchase of storage, teaching, technical and participant equipment, as well as facility rental, the club's ultimate goal in Everyone Curls is to introduce the community to curling, increase and sustain participation, increase membership and club viability, making curling a sport that can be enjoyed at all levels of participation. In January 2019, the new ‘edge ARTS‘ youth arts hub, a 1600 sq. ft. multi-use space in Nipigon, will be ready to open! The Township of Nipigon would like to kick off programming with a free “creator/maker” focused drop-in program for youth aged 12-18 from Nipigon, Red Rock and the Red Rock Indian Band. With the purchase of tables, chairs, tools and materials, the space will be ready to host its first program. Participants will be connected with a project leader and local volunteer artists, which will help promote positive self esteem in our local at-risk youth and encourage aspiring young artists to continue exploring their creativity. Started by high school student Faryn Gysen, Project Purse provides gently used purses filled with different items that benefit women in need, from toothbrushes to shampoo to jewelry. 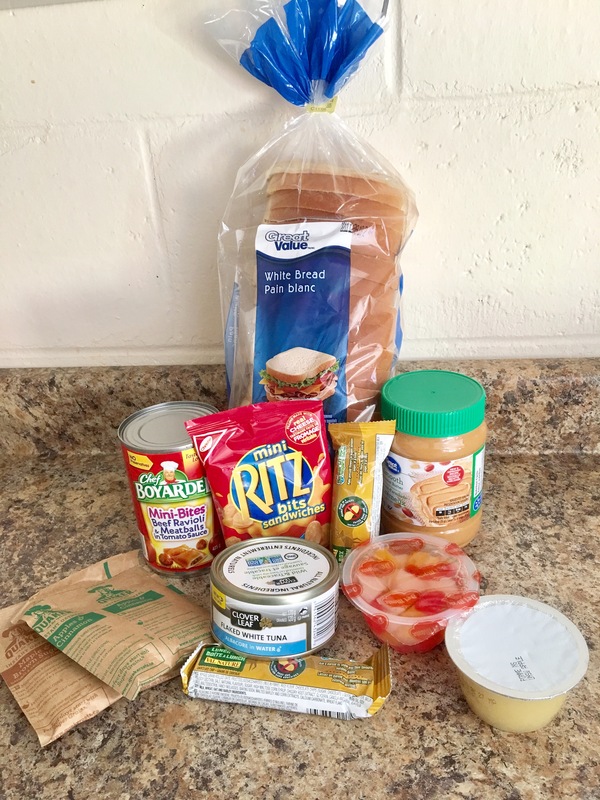 Entering into its 4th year, Project Purse would like to raise awareness about the program with an event and promotional material and purchase additional items to fill more purses for distribution through partner organizations, including small-denomination gift cards for restaurants so the recipients can also purchase a meal. The winters in Red Lake may be long and cold, but the students in the St. John School Ski Club pass the time with cross country skiing! Currently there is not enough equipment for the number of students participating and the majority of what the club does have is over 20 years old. The school would like to be able to achieve the goal of having enough pairs of skis to allow every child interested in cross country skiing to participate in this fun physical activity, bringing the community together. 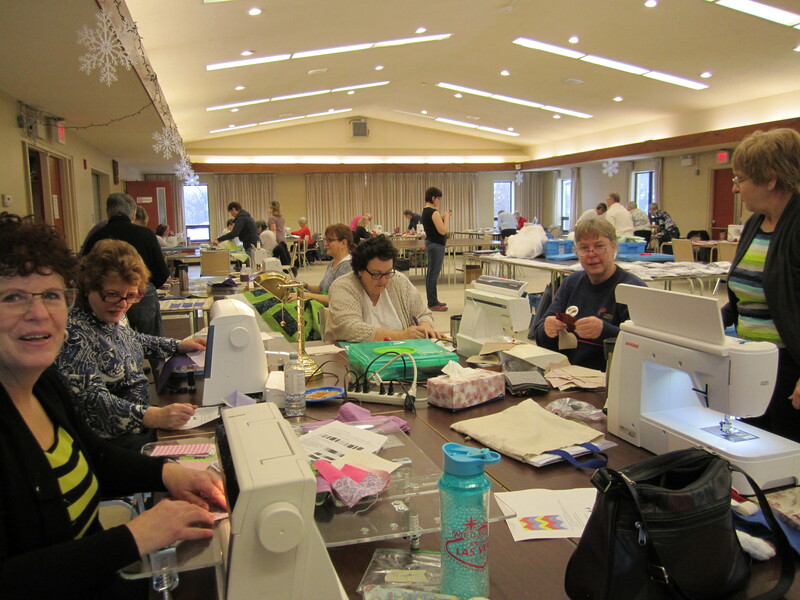 The Guild will use its funding to host a two-day quilt bee to promote the art of quilting and develop new quilters’ skills while completing 25 bed-sized quilts for donation in our community. The charity quilts are donated to various community organizations including St. Joseph’s Hospice and Hospital, George Jeffrey Children’s Centre, Faye Peterson House, numerous homes for the aged and the Cancer Care and Paediatrics units at Thunder Bay Regional Health Sciences Centre. 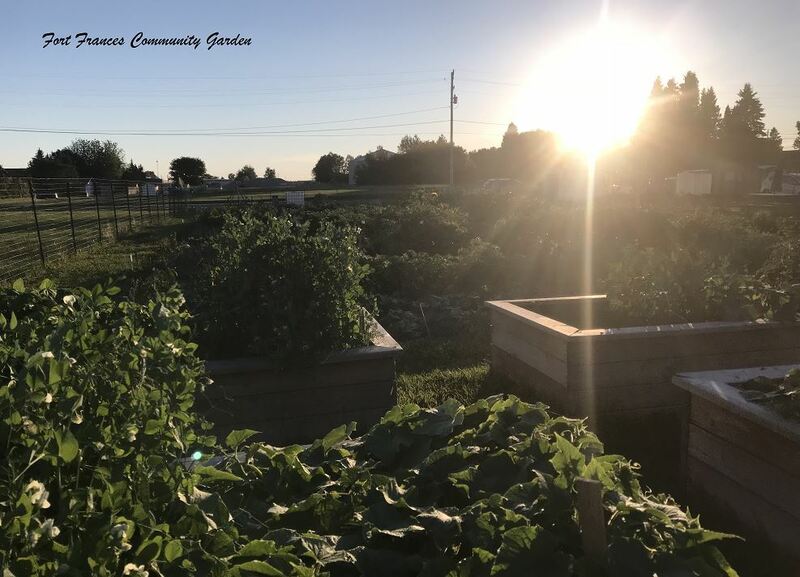 The Fort Frances Community Garden and Kids Garden Club is centrally located and is used by 100+ gardeners from ages 3-83! The garden benefits the entire community – kids learn new food skills; people are able to gather in a safe and welcoming place where lots of learning and sharing happens among gardeners and neighbors; children, families and adults are able to grow their own local food; and the garden produces locally grown food for donation to the local soup kitchen and food bank. The funding will help expand the garden to include more raised beds to accommodate more citizens of all ages and abilities. The MLC will move into its new school site at the retired Grandview Lodge in the fall. Students and staff want to build strong and long-lasting connections with their new neighbours through a community garden, events and volunteer work. The Club wants to build a 400-450m kid-friendly development trail at Kinsmen Park. This trail will help introduce young riders to the sport of mountain biking and foster a love of the sport and healthy activity. The Thunder Bay Giants Barbell Club is the only olympic weightlifting club registered with the Ontario Weightlifting Association (OWA) in northwestern Ontario. The club will purchase equipment necessary to promote and grow the sport of weightlifting in Thunder Bay. The funding will also support the club’s ability to provide competitions and officiating, allowing local athletes to experience the sport at a competitive level and helping them qualify for larger competitions without the extra expenses of travelling to southern Ontario. With evidence identifying a direct link between activity and academics, McKellar Park School will purchase integral pieces of equipment for the school that will increase student activity. Increased activity and fitness enables students to focus, think, work and communicate and will provide McKellar Park students with problem solving skills and coping mechanisms long after they leave the classroom. St. Joseph’s School currently offers healthy food at school through a snack program and daily breakfast program that is available to all students, free of charge. Weekends have been identified as a gap for students experiencing poverty and St. Joseph’s School will use the funding to continue their Nutrition On Weekends (NOW) program, allowing them to send healthy food items home and contribute to student success, health and wellbeing. 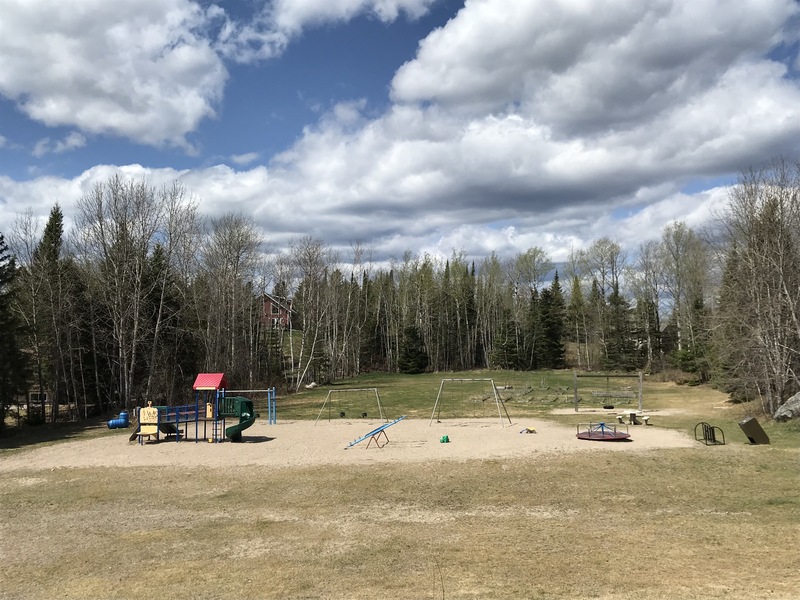 Laverty Park is the only municipal park within walking distance for many Red Lake families and this project will allow for park enhancements that include picnic tables for seating, as well as shared play items and equipment for children and families to enjoy.